I love a good stir fry. Simple, quick and so healthy! There are mixes out there where you don't have to do any chopping, but that is the kind of work I like to do, and I prefer fresh to frozen. 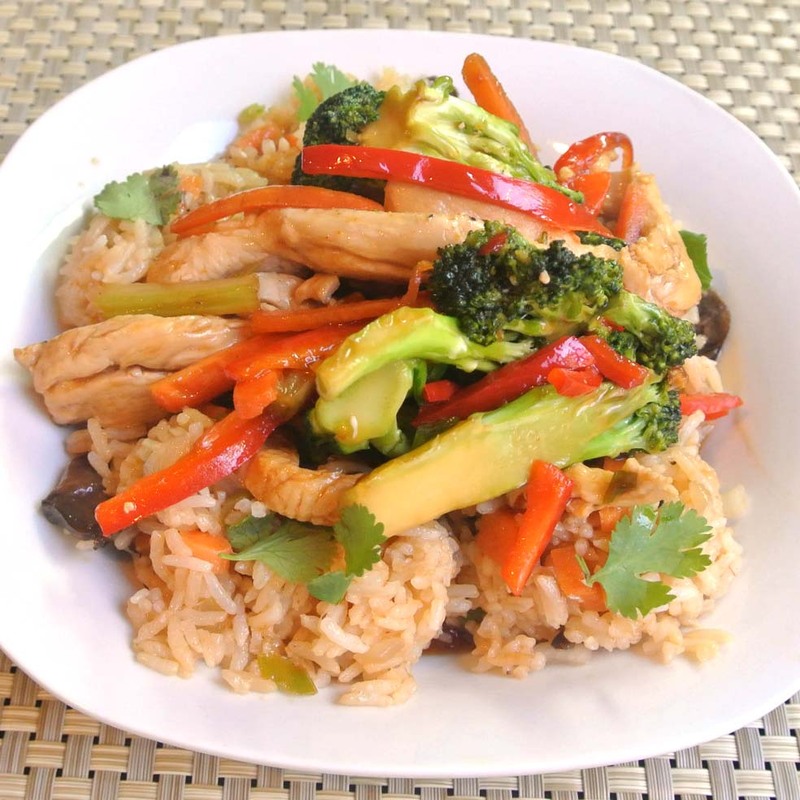 This stir-fry is a really fast healthy meal that is loved by all in our home. I served it over my Spicy Thai Fried Rice and it was perfect. Start by chopping and slicing all the vegetables and the chicken. I did all the vegetables in a Jullienne cut and it added great texture to the dish. In a large wok, heat up the sesame seed oil and olive oil. Add the chicken and stir fry until the chicken is cooked through. In a small bowl, whisk the teriyaki sauce, soy sauce, chili sauce and salt and pepper. 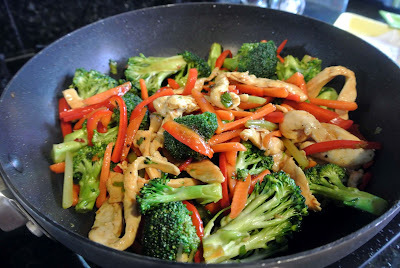 Add the carrots, celery, red pepper, broccoli, mushrooms, to the wok. Pour the sauce over the veggies and chicken and toss well. Before turning off the heat, add the green onions. Serve over steamed rice or Spcy Thai Fried Rice.